As much as I’d like to forget, I spent some of my formative years working for a consumer electronics chain that will remain nameless (hint: it was Best Buy). I’d like to think I learned a fair amount during the span of my career, and further, did a pretty damn good job of guiding people towards a series of gadgets and screens that, when coupled together, would placate these consumers with a pleasant series of colors and hums that would emanate from within. 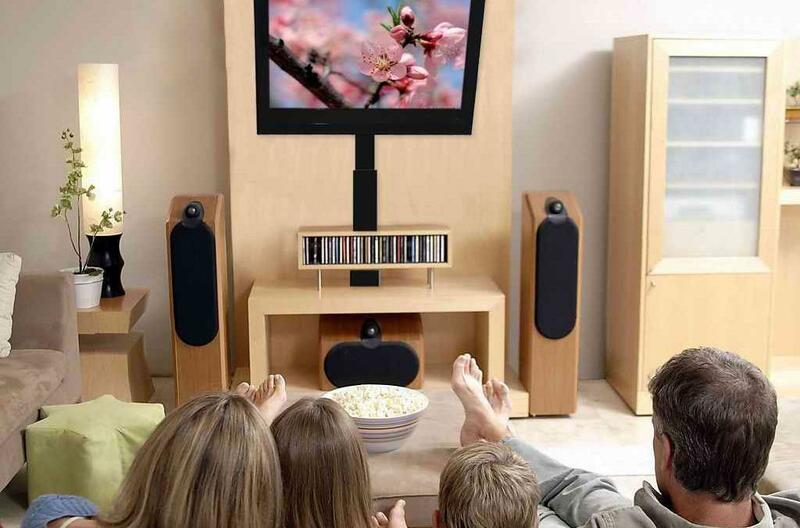 I’m talking, of course, about the holy grail of the living room: the home theater. I’m here now to pass this knowledge on to you. Although a lot has changed since I slogged through miserable shifts, pretending I actually like talking to strangers, a lot of the basic tenants still hold true. Think of this as a survival guide; you’re going to want to do your own research and ask your own questions, but what follows are some very important considerations and points of understanding. By the time you’re finished reading this, you should have a better sense of what to look for while shopping around; at the very least, you’ll understand what “contrast ratio” means. Since I did just promise I’d explain this, contrast ratio is the difference between the brightest a television can display and the darkest. If you’ll recall your middle-school science class for a moment, white and black are at opposite ends of the color spectrum. 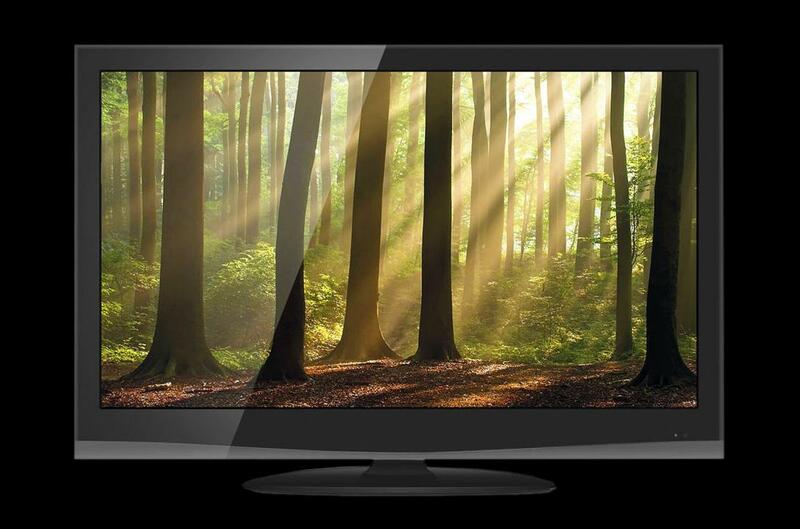 A television’s contrast ratio is the measurement of the luminance ratio between the two. Put simply, the higher the number, the deeper, more realistic a TV’s picture should be. Higher contrast ratio sets can generally produce more colors and more accurate colors. You’ll see contrast ratio plastered all over TV specs (usually written as 1:X). The problem is, there’s no standardized measurement for contrast ratio. Unfortunately, each manufacturer has a different standard of measurement. For instance, Samsung is pretty notorious for having incredibly listed contrast ratios. You really can’t compare the contrast ratio between say, a Sony and a Sharp. Contrast ratio is still helpful when comparing within a singular brand, though. So if you’ve narrowed down your search to two Samsungs, you can at least look at the contrast ratio to see which one is higher and glean at least some information from that. Look for a set that is displaying grass that looks more or less like what you have in your backyard. Now, although contrast ratio is essentially mathematical snake oil being peddled by each manufacturer, I do have a “cheat” of sorts if you’re doing any shopping in-store. There are three fairly easy points of reference to determine if a television has a relatively high contrast ratio and can display colors correctly. The first is skin tones. Televisions with a lower contrast ratio tend to either display skin tones too red (the people on screen look unnaturally ruddy or sunburnt) or too blue (in which case they look disconcertingly pale). Another real easy point of reference is grass. I can pretty much guarantee that no matter what store you’re in, at some point the demo reel will show at least one sports clip. Look for a set that is displaying grass that looks more or less like what you have in your backyard. Some sets might have a tendency to “pop” out at you with grass that looks too green to be true to life. That’s because it is. Although it may grab your attention in the store (see my second point below), at the end of the day you want a TV that’s displaying as true to life as possible. The last thing is the color black. Black is the hardest color for a set to display. Look for points in a demo reel where they’re playing a nighttime or darkly lit scene, or even a clip where someone is wearing a dark suit or article of clothing. Make comparisons between sets while these things are on screen; perhaps one set shows more detail in that black suit, or you can see more of what’s going on in the nighttime scene. The more detail in those situations, the better. 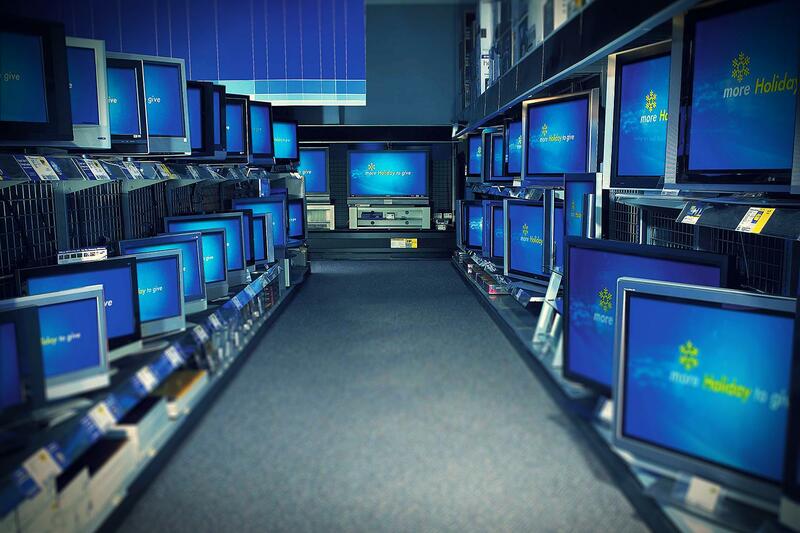 Television manufacturer’s realize that, as far as retail displays are concerned, they’re typically displayed on a giant wall next to all of their competitors. In an attempt to draw your attention, they crank up all the settings: brightness, contrast, you name it (the phrase “moths to a flame” comes to mind). Juicing up those settings tends to wash out detail and color balance completely. If you have a handful of televisions you’re interested in, ask to see them in “standard” settings (or the manufacturer’s equivalent). This will give you a much better sense of the televisions capabilities and display. If no one’s around, don’t feel too guilty about toggling the TVs settings yourself; most display sets are programmed to snap back to their default settings every half hour anyway. I’m not about to sit here and break down the benefits of proper shielding and the conducive properties of copper versus silver versus gold filaments. I’m sure you’ve heard that for the average home theater, the HDMI cable you buy doesn’t matter. In a very general sense, from a practical perspective for the average person, I’m going to agree with this statement. The reason being, unlike those old analog red-yellow-white composite cables you used to run from your DVD player to your TV set, HDMI is all digital, and in the majority of cases, the only cable you’ll be using to make your high-def connections. With digital connections, it’s either working or not– either you’re receiving picture and audio, or you aren’t. For most people, that means that regardless of whether they buy a $5 cable or a $100 HDMI cable, they’re not going to see a big jump in picture quality. Here’s the major issue: I can all but guarantee you that $5 cable will break on you. They’re poorly put together with substandard materials, and I’ve seen those kinds of cables break within literal seconds of opening. Is it the end of the world? Absolutely not. But for some people (especially if you’re looking to hide your connections behind a wall, or even if you’re just someone who dreads having to wedge yourself behind your entertainment center and fiddle with connections), it might be worth the extra $40 for a more trustworthy cable from manufacturer you’re familiar with. Obviously everyone’s viewpoint in this matter is going to be different, but at the end of the day, you get what you pay for. I’m not knocking their experts or their website, but I’ve seen way too many people walk into a store with a quarterly Consumer Reports magazine tucked under their arm. The issue I take with these is that they’re typically outdated by the time they hit the newsstands. I’ve seen a lot of models that are difficult to get, if not outright discontinued, listed as a “consumer best buy.” Further, they base a lot of their ratings by polling the average consumer on their experience, which sounds great in theory. However, these are people who have as much knowledge and experience as you do in this field. If you’re buying a Consumer Reports magazine, it’s probably because you don’t trust yourself to pick out the right set on your own. If that’s the case, why would you trust a thousand of you from nine months in the past? I absolutely recommend using the web to do your research. You can guarantee it’s up to date and written by professionals. In fact, there’s this website Digital Trends that I hear is pretty good. Today’s modern-day thin, lightweight sets allow for much more flexibility in terms of placement, and even larger screens don’t have to dominate a room. Wall-mounting has become incredibly popular, and for good reason: done properly, it can create a minimalist, wire-free home theater center. That being said, people have a tendency to mount their sets too high. Keep in mind that your television should still sit with the center at eye level based on wherever you primarily sit while watching. Mounting too high forces you to crane your neck and can make for an uncomfortable viewing experience. Ideally, your television-watching experience should be entirely passive. That’s why there’s such a thing as too big or too small a set for the space. There’s several algorithms out there to determine screen size versus viewing distance. A good general rule is you (obviously) don’t want your set so small you have to squint to make out details but you also (less obviously) don’t want it so large that you have to actively move your eyes to follow images around the screen. Again, you should be able to sit and meld with your couch and passively take everything in on-screen. That’s the beauty of television, people. People have a tendency to put the majority of their home theater investment into the television, which is understandable– it’s the focal point. But, these newer, thinner sets come with smaller, thinner speakers: you’re just not going to get great sound out of tiny, thin speakers. Sound bars can be a good option, but you can’t expect superb sound from most $300 sound bars. Don’t skimp. Also, you’re usually going to be able to find home theater in a box kits (prepackaged receivers and 2.1 or 5.1 setups) for roughly the same price as a decent sound bar. What I want to stress is that you can view your audio setup as an investment, whereas your television set will be outdated in a year. A good speaker 30 years ago still sounds like a good speaker today. Audio technology doesn’t change and evolve as rapidly as the television market does. It’s at lot less painful upgrading your audio equipment when you know you could have it around for years to come. Eyes and ears are beautiful and unique, like snowflakes. Everyone is going to have different color preferences and interpret sound differently. Don’t forget that when you’re standing in front of an overwhelming wall of TV sets or comparing two speakers. At the end of the day, regardless of reviews or specifications or price tags, you want to go with what you’re naturally gravitating toward. I sincerely hope that this helps you when building a home theater, but at the end of the day, this is your wallet and your living room. Go with your gut.